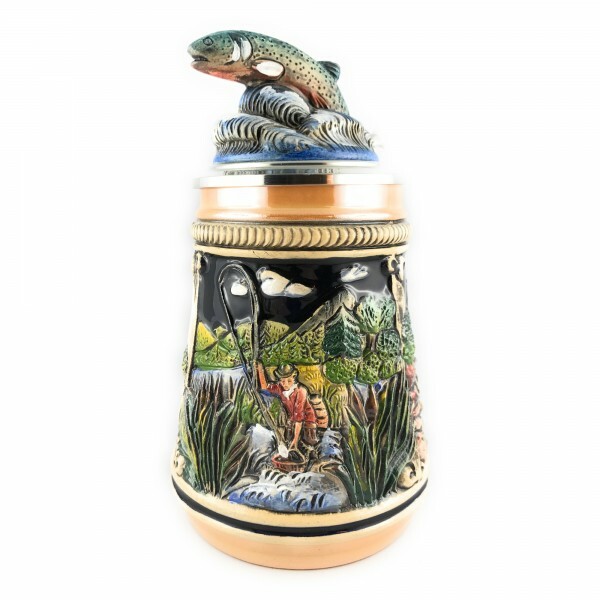 Product information "Fisherman stein, with 3 different scenes in yellow"
A very nicely done fishing stein, with 3 different fisching scenes on it. It also has a great juming fish on top of the pewter lid and an other one, on the back of the handle (made out of pewter). Great german ceramic beer stein, get the pewter lid engraved and make it to an outstanding present! Related links to "Fisherman stein, with 3 different scenes in yellow"
Customer evaluation for "Fisherman stein, with 3 different scenes in yellow"